MICROSONAR ULTRASONIC PROXIMITY TRANSMITTER - HiTECH Technologies, Inc.
MICROSONAR sensors use non-contact ultrasonic principles to detect and measure the position of an object. 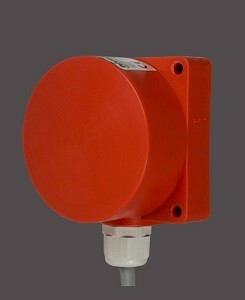 They act as proximity switches, or transmit the measurement of the distance from sensor face to the target. For transmitter models the output signal is either 4–20 mA or 0–10 V, which can be assigned to any part of the nominal range. Switching points of the proximity switch option can be set to any point within the range.